I am writing this post after having the blog fully inactive for a week, my last blogpost was from day 5 of YourTurnChallenge, where we were supposed to “ship” 7 days in a row. Clearly I failed in this challenge, there may be a few reasons to consider why I couldn’t make it but I don’t want to justify myself on mere excuses. I believe that when people truly want to accomplish something, they prioritise and organise themselves in such a way to accomplish their goals (or at least, their tasks). In spite of having failed at my attempt, I did commit myself to blog 7 days for #YourTurnChallenge and I would at least like to answer the questions exposed, even though it will take beyond the specific 7 consecutive days. I have “failed” many times in the past on different aspects of life, often resulting in a negative over-reaction and taking things too seriously. Failure is something that is very much stigmatised in both Spanish and Indian societies, specially when it comes to a business point of view. No matter what approach you try to suggest or idea you have in mind, innovative people tend to find others saying things like “this will never work”, “it has always been done in this way”, “I don’t suggest you go ahead with this” or “you will waste your time and fail”. After facing all of this, if the person tries to go ahead with their idea, they are very likely to face other people saying the famous “I told you, you should have listened to me” when failing. If they succeed,they will often hear the famous “you were lucky”. Personally, as time goes by I am getting increasingly convinced that failure is part of a learning process, where a positive and constructive reaction is much needed. Of course we should be highly aware and perhaps minimise risks as much possible, but we must have the courage to step up and go ahead in applying our creative potential to different approaches, concepts and ideas. By this I don’t just mean a business related idea, it could also be anything creative or something we are passionate about so as to dedicate our time to. It could range from learning new languages or taking up a sport to creative hobbies such as cooking, writing or photography. We could all potentially enrich our lives so much by simply applying a few of many accessible tools, provided by the internet. When have I surprised myself? Surprisingly, my reaction towards failing at this #YourTurnChallenge experiment has really surprised myself. Not long ago, I would be much more sensitive, pessimistic and negative about failure. I even took this challenge quite personally as I discussed about matters that really concern my hometown in a very particular way. But I am generally happy with my contributions, and I see this “failure” as a significant step towards a much further learning process that we could build together, within a trusted network of people. 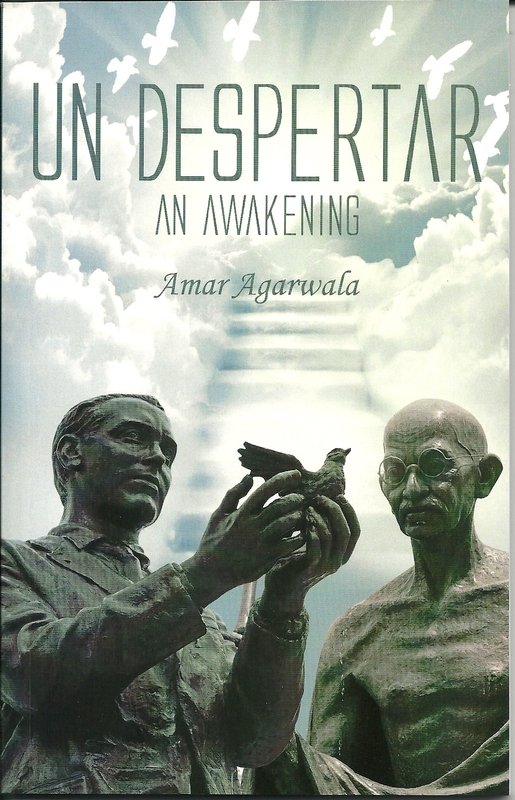 Another surprising aspect for me is that during the past years I have in fact contributed to some literary work that has been done by Amar Agarwala, an Indian author who is also a family friend (but not a fluent Spanish speaker). 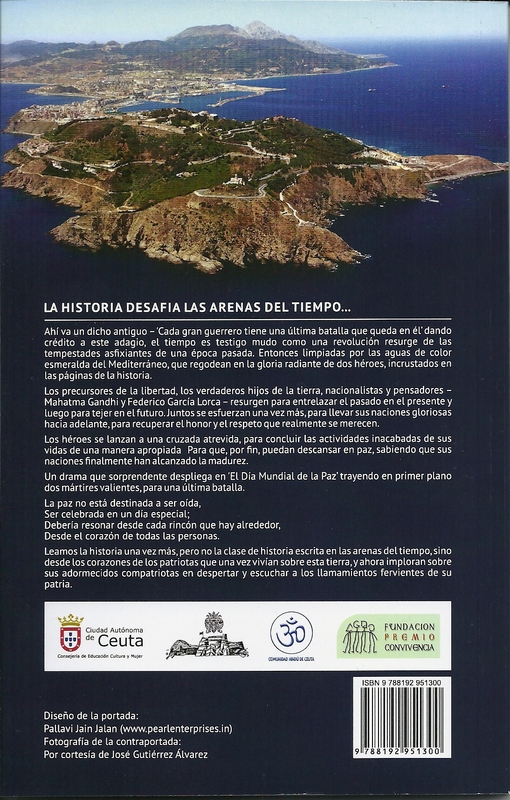 I never imagined myself contributing towards literature in bilingual editions, but the overwhelming results of pieces such as Blue Horizon (a collection of 28 poems on Ceuta) and An Awakening (a play with a clear message of peace and non-violence to the whole world) have been highly encouraging. The launch of An Awakening took place in Ceuta on Jan 10th (less than a month back) and after its pleasant success, many performances could follow across Spain and India. Working on small side-projects such as these have also enabled me to network with great people from a local perspective such as Jose Manuel Pérez Rivera (historian, archaeologist and founder of Ceuta Dreams), José Gutierrez (a prestigious photographer) and Oscar Ocaña (a remarkable marine biologist, but without much presence on the internet). If only they could have some impact on the important decisions for this town, perhaps between the three of them they would have already turned around Ceuta’s current situation completely. Let’s hope that the traditional attitude towards culture, sustainability, creative approaches and innovative people gradually changes in this town.